"Woo...This is MY kind of weather!" 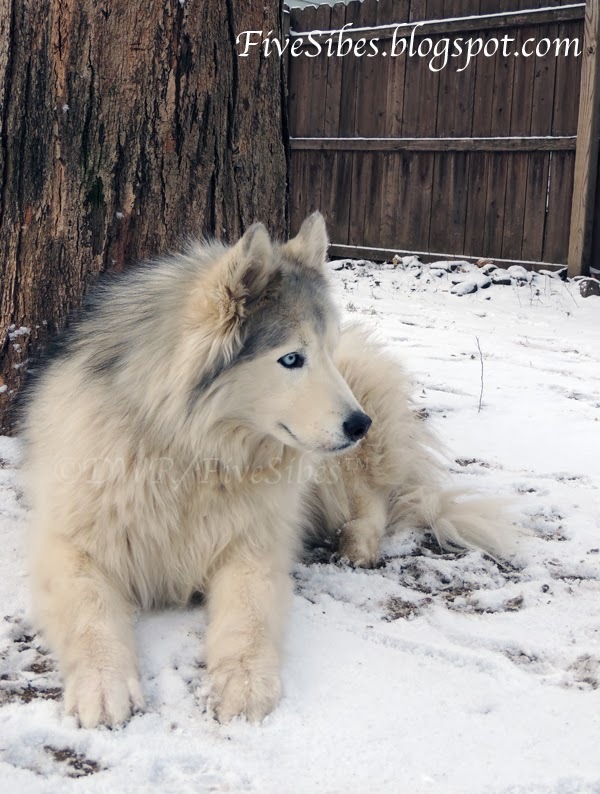 "Woo...ooo...it's so cold on my paws...!" 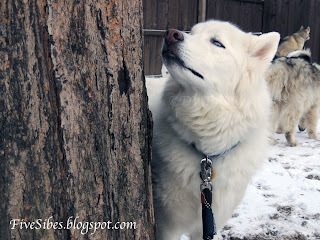 "Snow! Do woo think we'll get more soon?" 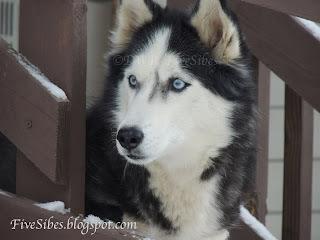 Ahhh...the four letter word that creates pure excite for Siberian Huskies - S-N-O-W!!! 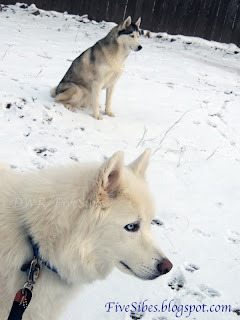 Wolf Update: He is starting to put some more weight on his leg...and his fur is growing back so his leg is all fuzzy! We still have six more weeks of rehabbing, but each day he gets a bit more stronger! Thanks again for all your good wishes and woos! 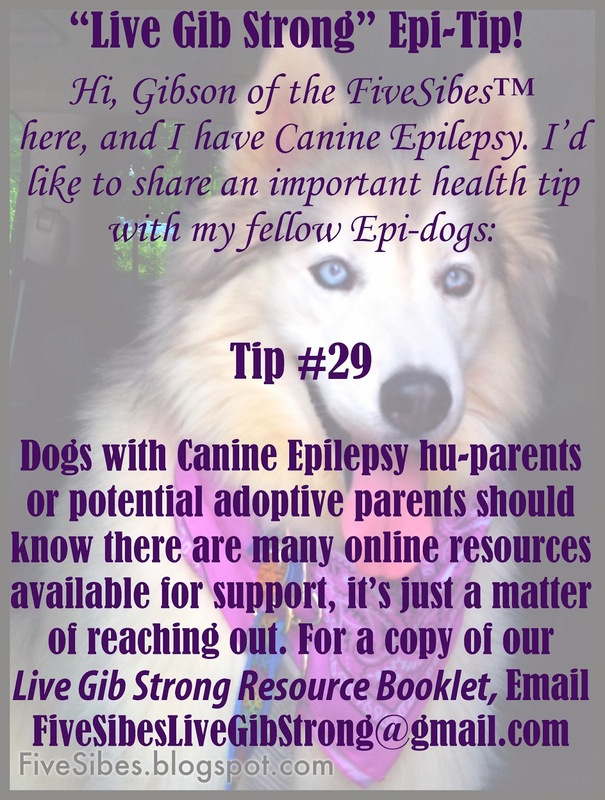 And here's Gib with our 30th Epi-Tip! 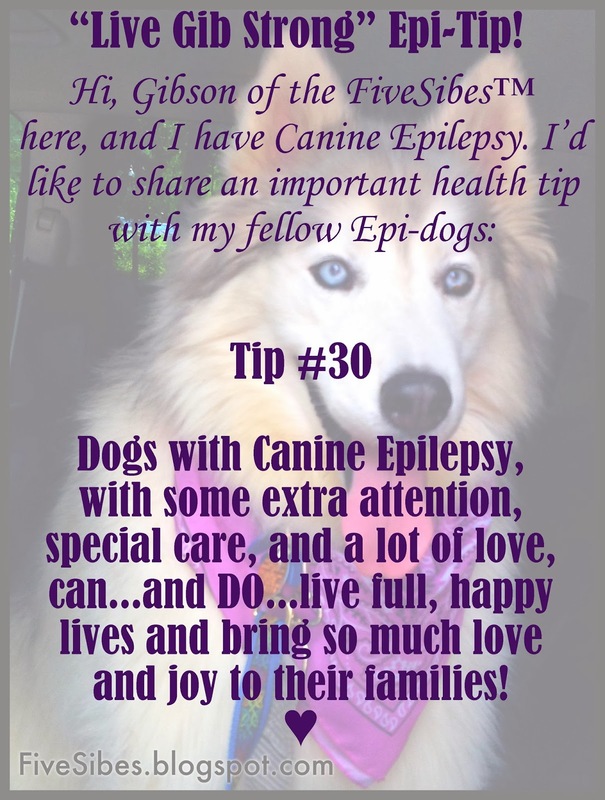 While today marks the last day of November and National Epilepsy Awareness Month, and our last daily Epi-Tip, we hope every day is an awareness day for Canine Epilepsy. 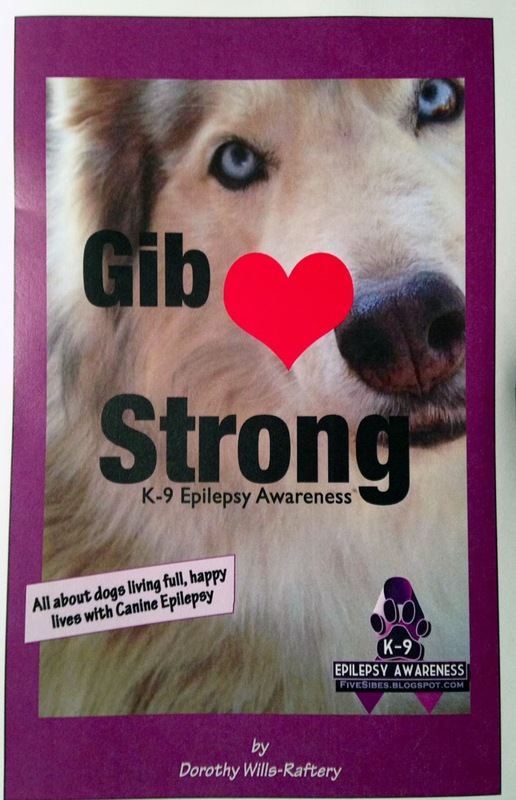 We thank you for joining us in our "Live Gib Strong" K-9 Epilepsy Awareness Campaign. 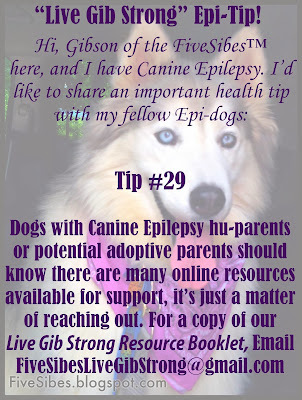 Spread the word that not only can Epi-dogs live full and happy lives (for however long we are blessed to have them)...there is much support and many information resources available to help parents, fosters, and rescues of dogs with Canine Epilepsy or seizure disorders. 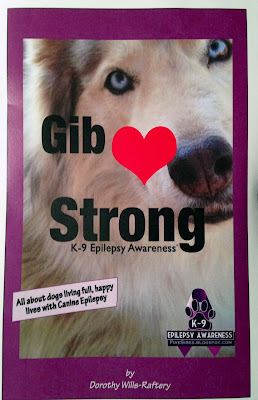 And be sure to check out our original post for fundraisers to benefit Canine Epilepsy Resources and The Wally Foundation, two of our "The Sibe Vibe" Dog Works Radio show broadcasts where we talk all about Canine Epilepsy, and a drawing for "Gibbie Snacks" delicious treats by House Wolf for FOUR lucky winners...plus...bakery cookies for the hu-family! 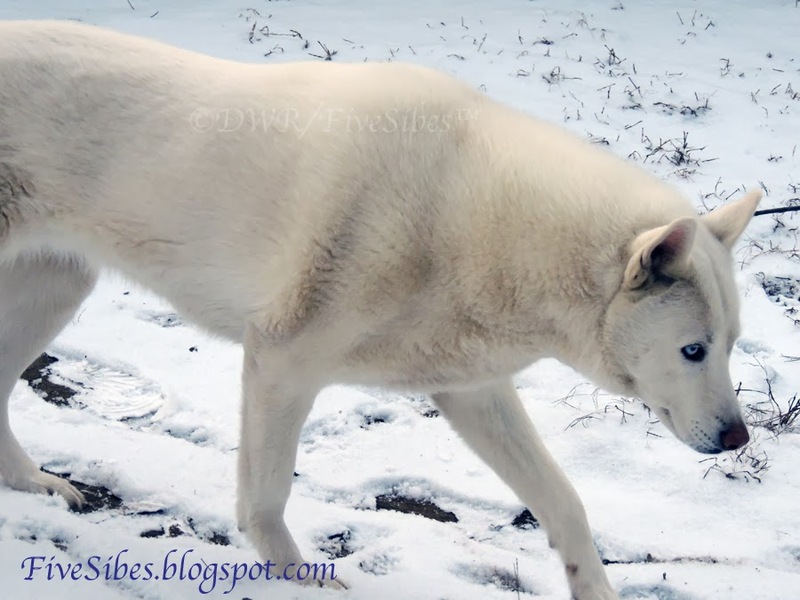 Visit HERE for details! Hurry though...today is the deadline! It's Black Friday and We Have a Leash Review For You! Gibson is a Model! Plus, His Daily Epi-Tip#18! Gibson's Epi-Tip of the Day: #14!